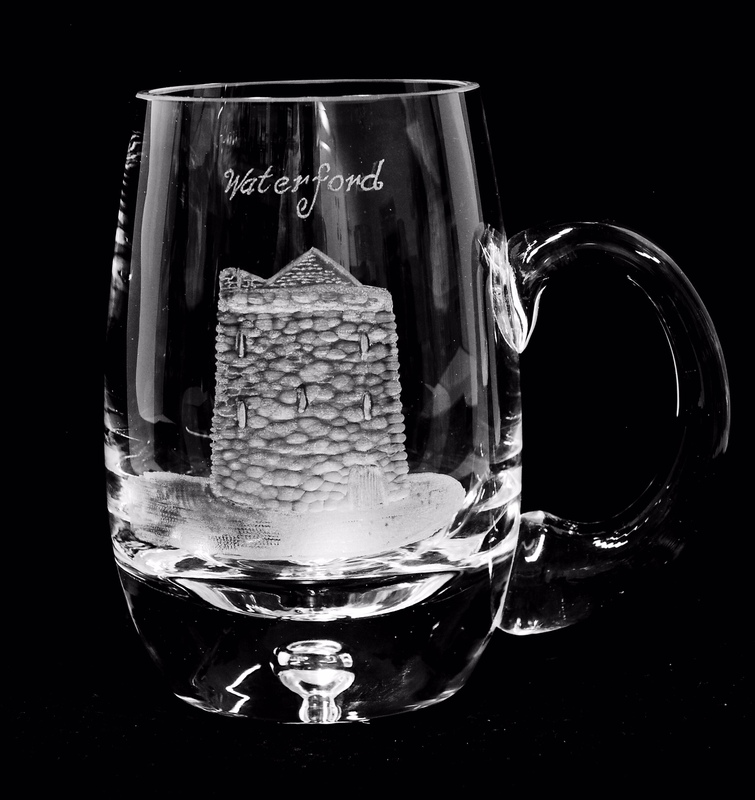 Stemware & Barware: "Reginald's Tower"
Description One Pint Tankard depicting Reginald's Tower in Waterford. Built in the 12th century it is an iconic landmark in Waterford. "Reginald's Tower" can be engraved on a wide variety of glass items. 5.6" High.